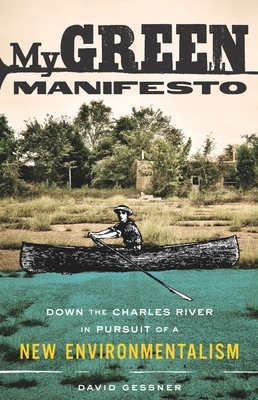 In My Green Manifesto, David Gessner embarks on a rough-and-tumble journey down Boston's Charles River, searching for the soul of a new environmentalism. With a tragically leaky canoe, a broken cell phone, a cooler of beer, and the environmental planner Dan Driscoll in tow, Gessner grapples with the stereotype of the environmentalist as an overzealous, puritanical mess. But as Dan recounts his own story of transforming the famously polluted Charles into an urban haven for wildlife and wild people, the vision of a new sort of eco-champion begins to emerge: someone who falls in love with a forgotten space, and then fights like hell for it. Considering everything from Ed Abbey's legacy to Jimmy Carter's sweater, Gessner points toward a scrappy environmentalism that, despite all odds, just might change the world. David Gessner is the author of eight books and countless essays about the wild world, including Return of the Osprey, which was hailed as a "classic of American Nature Writing" by the Boston Globe and was selected as one of their top ten nonfiction books of the year. Gessner is the recent winner of a Pushcart Prize and the John Burroughs Award for Best Natural History Essay. His essays have been included in The Best American Essays series and The Best American Nonrequired Reading 2008. His work has also appeared in many magazines and journals including New York Times Magazine, Boston Globe, Outside, Georgia Review, Harvard Review, and Orion. Founder of the journal Ecotone, he teaches at the University of North Carolina at Wilmington.